Art House Productions is seeking monologues and art by women of color for the third annual “In Full Color," moving this year to February 2017. The hit show is returning with more women's stories about love, loss, family, food, work, culture, education and more. Our writer-actresses have spoken about everything from being mistaken for a terrorist and dating while Asian to what really matters about Black lives. “In Full Color” was founded in 2015 and gives underrepresented women of color a platform to share their stories while creating culturally aware communities. We spark conversations about diversity, prejudice, cultural exchange and other increasingly important topics. IFC has also inspired an educational outreach program, Thinking In Full Color. The production is open to women writers of Black, Hispanic, Middle Eastern or Asian descent, of a mixed-race background, or belonging to any other ethnic minority group. Selected writers will work with director and founder Summer Dawn Hortillosa and perform their pieces at Art House Productions, 136 Magnolia Ave., Jersey City, N.J. Non-performing writers may also be paired with an actress of similar background. Submissions may be poetry or prose, should be five minutes max and have minimal set/tech requirements. Limited prop storage is available. Non-union, non-pay. - Thursday, Feb. 16 at 8 p.m.
- Friday, Feb. 17 at 8 p.m.
- Saturday, Feb. 18 at 8 p.m. 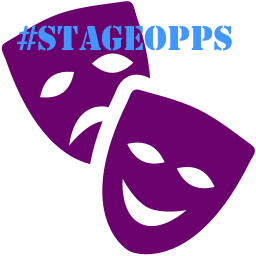 The application deadline has been extended to December 30th (till 11:59 pm) for #StageOpps subscribers. Don't forget to email specialoppscode@gmail.com to get the special code for this month's Special Opportunity! The series will be a creative evening of works that attempt to reach beyond emotions and find ways to discuss critical issues in America. This first conversation is about the gun violence problem in the United States. Yelling and screaming have not changed a thing, so what might? We are asking you, our members, to write, paint, sculpt, photograph, film, make music, and/or dance to a better understanding of this volatile subject where entrenched and automatic responses have become knee jerk reactions on both sides of the conversation. Eligibility: A female-identified member of one of our full or affiliate member organizations must submit and be the primary engine of the project submitted, but it may have any additional collaborators, female or male, members and non-members. Categories: Short plays and Monologues, Short Films, Music, Poetry, Dance Pieces, Paintings, Photographs, Performance Art, and written and performed pieces with a running time of 10 minutes or less. This diverse and intimate theatrical event will debut Summer 2017 at the historic Vail-Leavitt Music Hall. As a catalyst for cultural and community development, The East End Fringe Festival is dedicated to connecting adventurous emerging and established artists, appreciative audiences and supportive businesses and organizations to foster the growth of creative arts on Long Island. Eligibility: We are interested in receiving new, creative and edgy works from a very diverse population, all inclusive. We are looking for bold, theatrical voices and are passionate about supporting the craft of both emerging and established writers in service of our commitment to developing new work for the American theatre. The purpose and power of the theatrical event has always been to come together in the theatre and discover a new understanding of ourselves. By developing and producing work that explores and celebrates the human experience, we engage in a dialogue about what it means to be human, what it means to be an American and what it means to be a global citizen, in the 21st century. Eligibility: Please do not send us the first draft of a play. Due to the number of scripts we receive, we can only read any play one time, so make sure you are sending us your best work. Plays for consideration in our play development series must not have had more than one production at another theatre. MITF is now committed to three Festivals. MITF: Spring is entering its second season. Our Midtown location is safe, clean, convenient, and close to the offices of industry members. It is the Festival of tomorrows' producers today! We set ourselves apart from other festivals because: (1) we are the Festival where new producers work alongside seasoned pros and (2) we have implemented a new Profit Sharing Policy (PSP). * Every play now has the opportunity to earn their piece of the pie! Eligibility: Short Subjects and musicals 30 - 60 min. long, Full-lengths and musicals 61-90 min. long, Easy to produce in a no-frills festival. AEA showcases are welcome. Any genre. (Short subjects using guns as props will not be considered; full-lengths can use guns as props). Plays must be sent in Word Document or PDF File. Pages MUST be numbered and script must be in standard playscript format. The estimated running time of the play must be clearly indicated. Categories: Spring is a combination of full-lengths, short plays, and musicals, children's plays, a Variety division (Magic Acts, Improv, Stand-up, Cabaret, Sketch Comedy, etc), the Short Play Lab, and staged readings. Production Dates: March 25, 2017 in Washington, D.C.
Production Dates: Rehearses February 13-March 1, in London Bridge, UK. Performances run March 2-May 7, touring the UK. Production Dates: Rehearsals begin Jan 5 and will be scheduled around availability of the actors. Performance Dates are February 10-12, 2016. All rehearsals and performances will take place in Maplewood and South Orange NJ. Our primary goals are four-fold: to nurture the next generation of playwrights through workshops, readings, and full productions of new plays; to develop and nurture Atlanta's artistic community through rigorous theatre training; to catalyze the dialogue essential to the vitality of our neighborhood and our city; and to enhance Atlanta's reputation nationally as a thriving center for live performance. Position Type: 40 hours a week. Night and weekend hours required. Required attendance at tech rehearsals, load-ins, electric hangs and opening nights as assigned. Eligibility: Be able to lift at least 65 pounds. Must be comfortable with heights. Have a valid driver's license. Have a working knowledge of all standard shop equipment (table saw, pneumatics, drill press, etc.). Knowledge in drafting in ACAD or equivalent. Be able to create working/shop drawings from drafting. Able to create a cut list from shop drawings. Possess excellent verbal communications skills. Must be self-directed with strong management/leadership skills. Enjoys creative problem solving. Must be able to appropriately conduct themselves in a professional setting. Basic understanding of wiring is a plus. Experience with small, tight budgets and bringing projects in within budget. Minimum of two years’ experience in a producing theatre or equivalent education. Constellation Theatre Company seeks a full-time Production Manager to oversee scheduling, budgeting, contracting and the execution of all aspects of physical production, including scenery, lights, costumes, props, paint, sound, and projections for all productions, workshops, readings and events. Eligibility: A minimum of 5 years professional experience as a Production Manager; Thorough knowledge of all areas of theatrical production; Demonstrated ability to develop and work within approved budget; Strong computer skills, including proficiency in Excel, CAD programs, Word, Powerpoint; Ability to identify and resolve problems in a timely manner and gather/analyze information skillfully; Ability to work well in group problem-solving situations; Ability to work under pressure on many projects and work with people of varying experience levels; Strong communication, diplomatic and leadership skills; Willingness to be flexible, collaborative, highly motivated, organized and responsible. Utah Festival Opera and Musical Theatre is seeking individuals to serve as Wig and Make-Up Artisans for our 2017 summer season. Each summer UFOMT produces 6 main stage productions. All shows perform in repertory. Wig and Make-Up staff members build, changeover, and provide run support for all shows. Eligibility: Qualified applicants should have a strong background in styling and application, ventilation experience, and should be highly motivated and ready to work in a fun and exciting environment in the beautiful mountains of Northern Utah. Cosmetology license a plus.